Don’t let a lack of funds keep you from having an exciting and dynamic All-Stars for Jesus Bible Club program. Here are some ideas for funding your Bible Clubs. Registration Fee: Have an annual registration fee of $20.00 to $25.00 per child. Just as sports teams have a sign-up fee for equipment and supply costs, your All-Stars for Jesus Bible Clubs can, too. Let the parents know that the registration fee will help to cover the costs of T-shirts, caps, pennants and awards. Even if you set the registration fee at $35.00, this is still a real bargain for all of these items compared to the sign-up costs for sports. You can have “family packages” so no family has to pay more than $100.00 (or whatever amount you set) to enroll all of their children in Bible clubs for the year. If you have church members sponsor children whose families can’t afford to pay the entire amount (see the All-Stars sponsors information in the report below), let families know that All-Stars scholarships are available. Families who wish to apply for a scholarship can fill out a simple form letting you know how much of the cost they are able to pay themselves. The scholarships can then be awarded to families based on their financial need and how many children they have attending Bible clubs. All-Stars Sponsors: Have your church members sponsor children for All-Stars for Jesus Bible Clubs. Most people would jump at the chance to support children in a positive, Bible-based program. 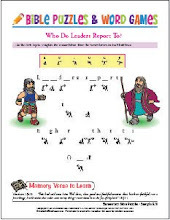 Decorate a wall or bulletin board in your church as the “All-Stars Hall of Fame.” Place one of the All-Stars for Jesus Bible Club Posters in the middle of the wall or board. Have people purchase stars, for either the entire registration amount or an amount of their choosing. From the All-Stars Resource CD or the website, use the “All-Stars Gold Donor” Star pattern for people who contribute the entire amount, and the other Star pattern for the other donors. Print two stars for each of your donors — one on paper and one on card stock. Write a brief note of thanks on the paper star (or have the child receiving a scholarship write the note) and give it to the donor. Cut out the card stock star, print the donor’s name in the middle, and add glitter around the edges. Add the cardboard stars to the “Hall of Fame,” taping them around the poster. For more fundraising ideas, download the report below. Click on the image to download the "How to Pay for Your Club" Fundraising Ideas Report plus additional resources for your Bible Club.